Dr Susan Carpenter commenced her dental training at Otago University where she completed a Bachelor of Dental Surgery degree graduating as a dentist in 1991. Susan worked for five years as a Dental House Surgeon in hospital departments in New Zealand and then in the United Kingdom gaining experience in oral and maxillofacial surgery. In 1996, Susan left the hospital environment and worked for two years in general dental practice. Susan was fortunate to be accepted on to the highly competitive three year orthodontic training course at Guys Hospital in London becoming a specialist orthodontist in 2001. A further two and a half years experience was gained in orthodontic practice in London before Susan returned to New Zealand. Impressed with the lifestyle available in Orewa, Susan decided to settle and started working here in 2004. 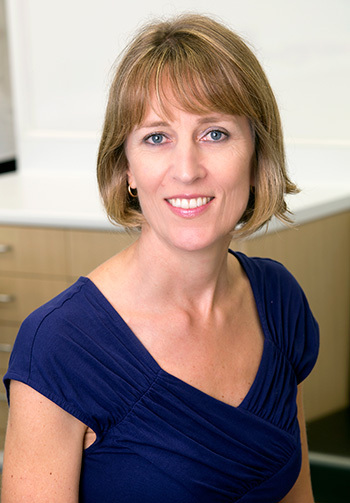 Susan is a member of the New Zealand Association of Orthodontists (NZAO), Member of the New Zealand Dental Association, Fellow of the Royal College of Surgeons of England and a member of the British Orthodontic Society. Susan lives locally with her husband and two daughters and likes gardening, keeping fit and spending time with her family.